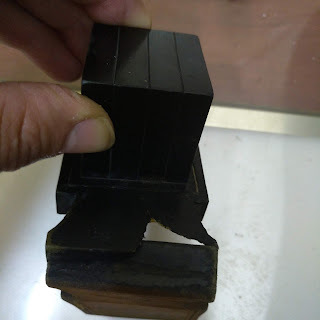 Arts and crafts can be very tricky, as you can see the head of the zayin has a thick side and a thin side -i actually used one kulmus cut to the thin and one cut to the thick side and we still have half a kulmus under the line. I also placed the zayin at the end of the word. My point is not to prove kosher or posul,my point is we are splitting hairs on a safek deorayta. most of us when showing an etrog to a rav and he slightly twitches his nose we are out there buying a new one. 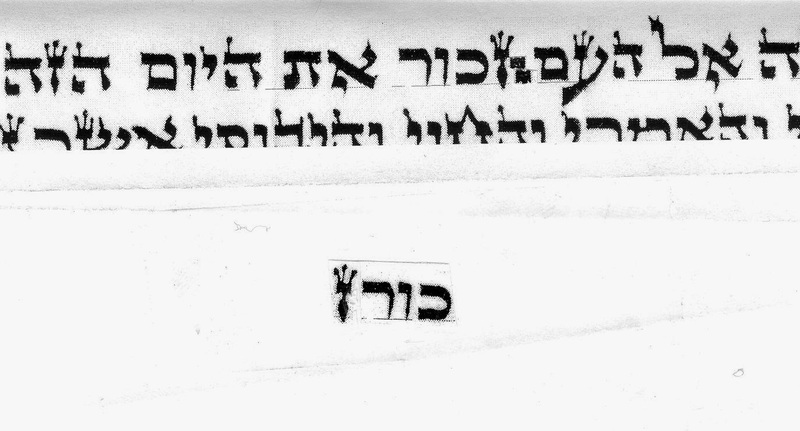 First all of the magihim should send back such mezuzos to the sofer, as "SOFEK PSUL"
Is an Aguna involved that we are splitting hairs to save the mezuza when the sofer clearly violated the beraysa? THE BRAYSA MEANT OUR SHAILA the braysa didnt come to warn us not to make a zayin with 3 kulmusim. 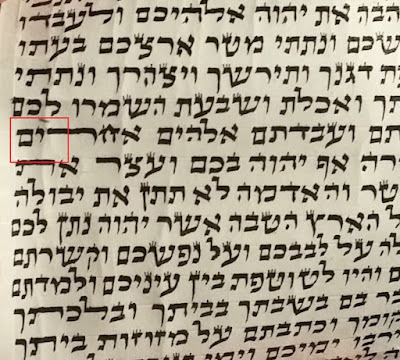 What bothers me even more is when i ask sofrim why is the vav shorter than the zayin, they often reply "i was worried the vav will become a nun sofit" it is embarrassing when a sofer clearly ignores the beraysa that warns no short vavs and no long zayins and sets up his own policy of chumros. But honestly overall - I really don't think there's much to discuss in this case. Lots of theory yes, but tachlis I don't think we can really call this a nun. Firstly the regel is very b'koshi more than 2 kulmusim. 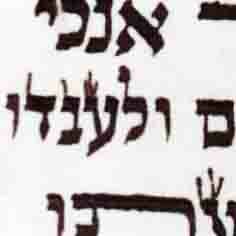 Secondly the zayin at the beginning of the word is tzad lehakel. Thirdly, the unity of this writing is not perfect - as I said previously, the next zayin in the line is about the same length. When looking at Stam we obviously need to know the Halacha, as has been very well cited in these posts. But equally important is the shimush to know when and how the context of the ktav matters. And this zayin in this ketiva gasa with all the mentioned points, in my opinion is not an issue. It would be interesting to see how this Sofer does his nun peshuta. If they are all very long, that would be another tzad lehakel.